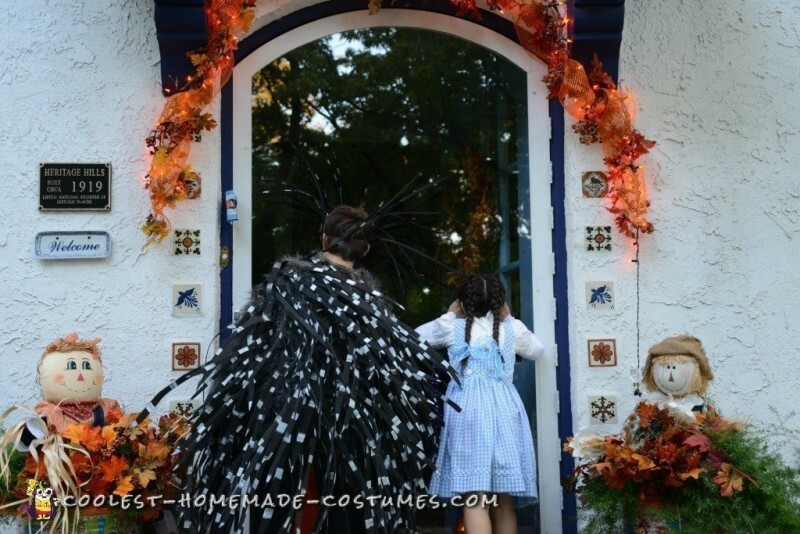 Last year, my son wanted a porcupine costume. He loves wild animals and always chooses challenging Halloween costumes. 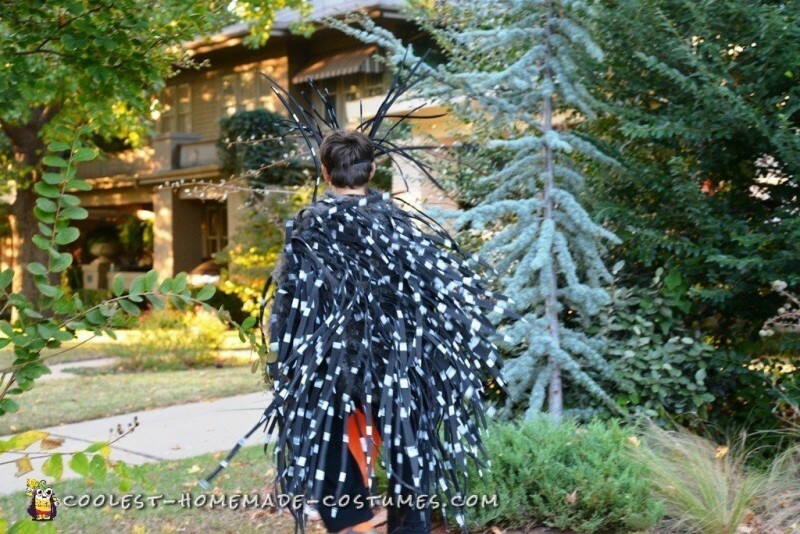 I made him a bodysuit cape thing out of black and silver fur and attached “quills” I crafted from black foam strips I cut into long strips (with a point on the end) and dabbed with white painted stripes. I attached them with nylon thread and when I ran out of time, hot glue! I used a store-bought mask, but hot glued quills to it. 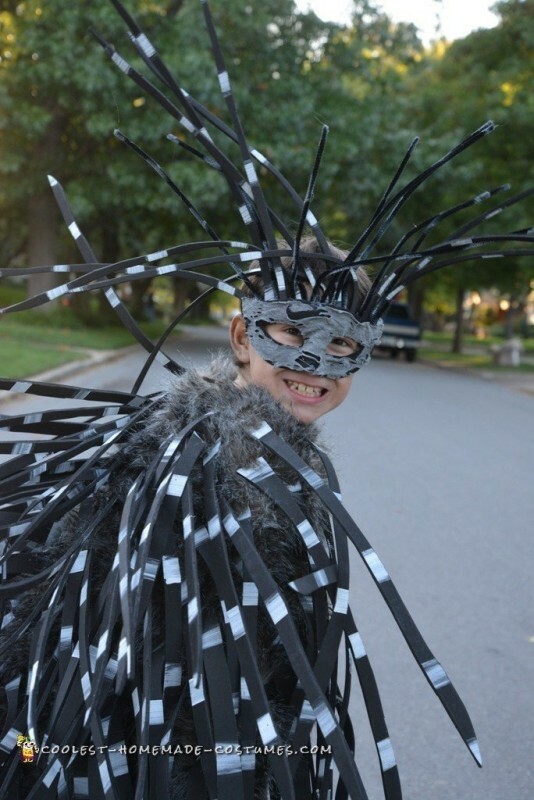 My son felt like a real porcupine wearing this crazy thing. It was so much fun! A gigantic porcupine! So. Are you willing to part with it?! ?